Did you receive a traffic ticket for speeding in Lewisville while driving through Denton County, Texas? Did you take care of it on time or did you allow it to go into warrant status? Do you have a commercial driver's license? These are the important questions that ant attorney that represents clients with traffic tickets wants to know right off the bat because it sets the basic parameters of the case. I am Jack Byno, a traffic ticket lawyer that has been representing clients with speeding tickets in the Lewisville Municipal Court and Denton County Justice of the Peace, Precinct 3 since 1994. Each of these courts hears Class C Misdemeanors, but one is a City of Lewisville court and the other is a Denton County court. For more information about each of these courts and how I can help you contact me. 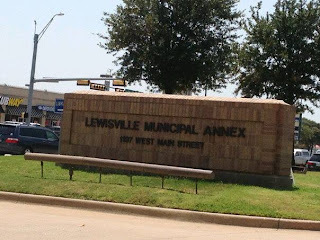 Traffic Violation in Lewisville, Denton County, Texas? Alias Warrant: Did you fail to take care of your traffic ticket? If so, the ticket is past due and now there is an alias warrant in your name. You still have the right to appear in court. I can post an attorney bond, remove your warrant, and set a new court date. Capias Warrant: If you have already been to court, but you failed to comply with the judgment of the court, then the court has issued a capias warrant. You have two options: pay the fine or go to jail. I am sorry to say, when you get to this point an attorney cannot help you. More about the Lewisville Warrant Roundup. If you hold a commercial driver's license (CDL) you need to keep your record clean because your livelihood depends upon it. I have been representing CDL holders with their speeding and other traffic violations for two decades. I understand what is at stake for you with your ticket. Any moving violation could put your job in jeopardy. The stakes are too high to risk going to court without an experienced lawyer. The challenges in the court system facing drivers with a CDL are much greater than those facing people with standard licenses. There are fewer options and it is harder, but not impossible, to reduce the points on your driving record. Contact me to learn about your options.